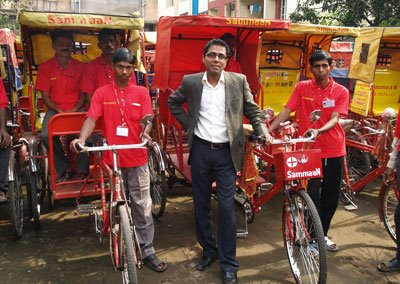 Economist in its January Edition has an unusual story of Irfan Alam, a 27-year-old from Begusarai in Bihar and his typically Indian thirsts of entrepreneurship exhibited through his company SammaaN Foundation that he established in Patna in 2007. This is the story of one of the 30 Indian enterprises shortlisted in a competition to find the country’s “hottest” start-up. The contest attracted over 500 nominees. The National Entrepreneurship Network (NEN) and the Tata group have promoted the contest to catch up with the spirit of enterprise on India’s campuses. More than 75% of the nominees are, like Mr Alam, first-generation entrepreneurs who do not hail from business families. Two-thirds of the final 30 have masters degrees. In short, they have plenty of options. Their enthusiasm for entrepreneurship represents a growing willingness on the part of highly educated Indians to turn their backs on careers in brand-name companies and strike out on their own. Is it not heartening in a country where media keeps on providing stories of depressing political terrorism such as one of promoting another Rabri Devi in Rajasthan or mischievous move of AR Antuley? The spice king Sadananda Maiya (MTR Foods) , medical device manufacturer, flower seller S. Ramakrishna Karuturi ( Karuturi Global) , household baker Rajni Bector (Cremica), Education service provider Shantanu Prakash (Educomp Solutions), Alok Jalan (Laqshya Media), Deepak Puri (Moser Baer), R K. Sinha ( Security and Intelligence Services), Porus Irani (Handiman Services Limited), Bangaruswami Soundarajan (Suguna Poultry), Sushil Kanubhai Shah ( Metropolis Health Services), VG Siddhartha (Amalgamated Bean Coffee Trading Company), Mahendra Vinayak Vichare (Vichare Courier Services), Snack charmers Haldiram, Vandana Luthra (VLCC), Panda Rajan (MA FOI Consultants) , Natesan Murugan (Rajathi Group), Goutam Adani and beekeeper Jagjit Singh Kapoor (Kashmir Apiaries).